Tiffany has been a member of the Junior League of Norfolk-Virginia Beach, Inc. since 2011. Through her leadership journey as President she has served as President-Elect, Leadership Initiatives Director, Membership VP, Communications VP, New Member Mentor, Kids in the Kitchen Committee member and Fund Development Committee member. Tiffany received her B.A. in Public Administration from Norfolk State University and is the Director of Stewardship and Special Gifts for Virginia Wesleyan University. 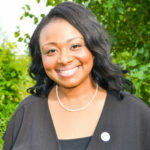 Outside of the Junior League, Tiffany is a member of Alpha Kappa Alpha Sorority, Inc., Jack and Jill of America, Inc., tHRive, Young Professionals of the Hampton Roads Chamber and serves on the Board for Children’s Harbor. Tiffany was selected as one of the 2018 Coastal Virginia Magazine’s Millennials On the Move. She enjoys spending time with her husband Eric and their son Eric, Jr.
Amanda has been a member of the Junior League of Norfolk-Virginia Beach, Inc. since 2012 and is currently serving as President-Elect. She has served as Treasurer, Treasurer-Elect, the very first Chair of Touch-A-Truck, and in numerous Chair and Co-Chair positions on Finance and Membership Council. Amanda has received a B.A. in Communication Studies and History from Longwood University, M.A. in Humanities from Old Dominion University, and is currently pursuing a Ph.D. in Educational Management-Higher Education at Hampton University. 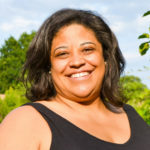 She is the Director of the Academy for Nonprofit Excellence at Tidewater Community College, working extensively with nonprofits across Hampton Roads. 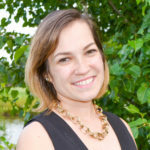 Amanda also serves on the Norfolk Public Library Board of Trustees, Longwood University Alumni Board, and is a recent graduate of LEAD Hampton Roads and EmergeVA. She enjoys teaching college courses, traveling the world, and spending time with her husband Matt and two crazy boys William and Owen. 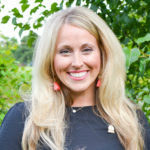 Annamarie has been a member of the Junior League of Norfolk-Virginia Beach, Inc. since 2015 and is currently serving as the Administrative Vice President. She previously served as the Chair of the Cookbook Committee. Annamarie received her B.A. from Randolph-Macon Women’s College, and her J.D. from Hamline University School of Law. Currently, she is an associate attorney for the Law Offices of Victoria V. Humphreys, P.C. Outside of the Junior League, Annamarie is a proud Big Sister for Big Brother and Big Sisters of America. She enjoys “little old lady” pastimes such as knitting while watching PBS period dramas. Stephanie has been a member of the Junior League of Norfolk-Virginia Beach, Inc. since 2012 and is currently serving as the Treasurer. Her previous positions in the league include: Treasurer Elect, New Member Chair, and community committee member. Stephanie received her bachelor’s degree from the University of Virginia and a Master of Business Administration from Old Dominion University. Currently, she works as a Treasury Sales Officer for Bank of America. Stephanie attends almost every ODU football and basketball game and is a fan of UVA sports and the Philadelphia Eagles. She grew up in the Hampton Roads area and currently resides in Great Bridge with her husband, Cameron, and dog, Yoshi. Kathryn joined the Junior League of Norfolk-Virginia Beach, Inc. in 2016 and is thrilled to serve as Treasurer-Elect this year. She was previously the Scavenger Haunt committee co-chair. 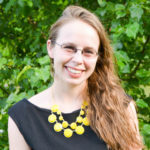 Kathryn received her BA in History and Bioethics from the University of Virginia and her Master of Healthcare Administration from Virginia Commonwealth University. She is currently a Business Development Project Manager at Sentara Medical Group. In her free time she enjoys traveling and spending time with family and friends, spinning, and chasing after her pup, Olive. Erin joined the Junior League of Norfolk Virginia Beach, Inc. in 2015 and is currently serving as Membership Vice President. She has served as Placement Chair and as a member of the Special Events and Scavenger Haunt committees. 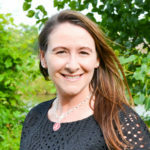 Erin majored in Biological Sciences at the University of Maryland, Baltimore County and teaches Biology and Marine Biology at Oscar Smith High School in Chesapeake. She also coaches the color guard team with the marching band of Oscar Smith HS. She is a very active member of Phi Mu Fraternity for Women, serving as an area officer, alumnae chapter board member, and a member of the advisory council to the chapter at William and Mary. Erin resides in Chesapeake with her husband Richard and daughter Fionna. Gabriella joined the Junior League of Norfolk-Virginia Beach, Inc. in 2015 and is currently serving as the Community Vice President. She is passionate about benefitting the lives of women in our community and has served as the Women’s Initiatives Committee Chair and Chair-Elect. Gabriella majored in Classical Studies at Virginia Tech and is a Realtor with Rose & Womble Realty. In addition to spoiling her adopted beagle Rose, she loves going to movies with her husband James and is always up for cocktails and a game night. Zoë joined the Junior League of Norfolk-Virginia Beach, Inc. in 2014 and is currently serving as the Communications Vice President. She has served as the Assistant Communications VP and Done-in-a-Day Committee Chair. 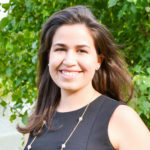 Zoë majored in American Studies at the University of Virginia and is a Medicaid Marketing Manager at Magellan Health. She’s a Virginia Beach local, but loves to get out and explore places throughout the region. Zoë also serves on the WHRO Emerging Leaders Board. In her free time she likes being with her large extended family, hanging out with her dog Gigi, and is known for her award-winning caramels. Amanda joined the Junior League of Norfolk-Virginia Beach, Inc. in 2016 and is so excited to put the FUN in Fund Development! Amanda served as the Chair-Elect for the Special Events Committee last year where a team of ladies planned and implemented small fundraisers, shop nights, and parties with a purpose to raise money for the league and share a bit of fellowship as well. 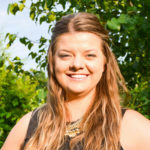 Amanda has a business degree from Ferris State University, and a Master of Public Administration from Old Dominion University. Amanda currently shares her passion for sharing smiles and helping others at Operation Smile where she serves as a Development Officer for Student Programs. Erikka has been a member of the Junior League of Norfolk-Virginia Beach, Inc. since 2012 and is currently serving as Parliamentarian. 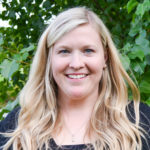 Throughout Erikka’s years in the League she has been Chair of the Cookbook Committee, Historian, Transitional Mentor, New Member Mentor and served on the Nominating Committee. Outside of the League Erikka is a Deputy City Attorney with the Norfolk City Attorney’s Office. Erikka received her B.S. in Finance from Colorado State University and went on to receive her J.D. from Boston University. Erikka is also a member of the James Kent Inn of Court. 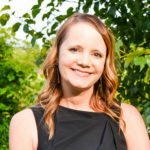 Erikka enjoys spending quality time with her family, doing home improvement projects, and exploring the various happenings and restaurants Coastal Virginia has to offer. Natalie joined the Junior League of Norfolk-Virginia Beach, Inc. in 2013 and is serving as the 2018-2019 Nominating Chair. In the past, she has served as the Ways and Means Committee Chair, a Touch-A-Truck Committee member and Recruitment Committee Chair. Natalie has her BS in Bacteriology and her MPH in Public Health Epidemiology. She is a clinical analyst for the Virginia health plan at Anthem. Originally from the Midwest, Natalie moved to the area from Washington, D.C. and has lived in Virginia Beach for five years. She loves exploring the beaches, parks, restaurants and shopping the area has to offer, with her husband, two children and dog. Renee has been a member of the Junior League of Norfolk-Virginia Beach, Inc. since 2013, and has held a variety of roles including new member mentor, transitional mentor, and Assistant Membership VP. Renee attended the University of Kentucky as an undergraduate student and Old Dominion University for her master’s degree. She currently works as a speech language pathologist in adult/geriatric settings. When not watching/attending UK/ODU basketball and football games, she enjoys spending time at the beach or with friends. Nicolle Vasquez Del Favero joined the Junior League of Norfolk-Virginia Beach, Inc. in 2016 and is currently serving as the Leadership Initiatives Director. Previously, Nicolle served on the Women’s Initiatives Committee. 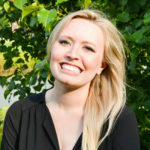 Nicolle graduated from the University of Florida with a Bachelor of Arts degree in Political Science and Women’s Studies, and received her Juris Doctor from Northeastern University School of Law. Currently, Nicolle serves as a civilian attorney with the Department of the Navy’s Office of General Counsel. 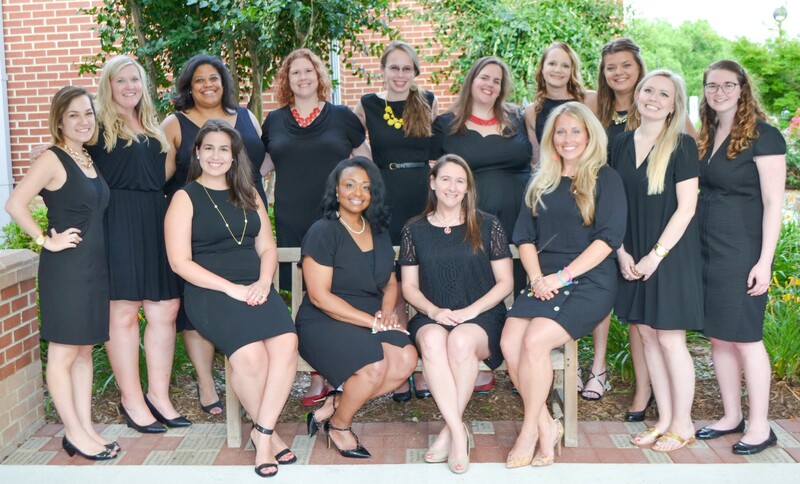 Outside of the League, Nicolle serves on the Pro Bono Committee for the Military Spouse JD Network and volunteers with the YWCA of South Hampton Roads. She enjoys spending time with her husband, Michael, and their two rescue pups, Josie Belle and Casper. 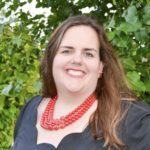 Meghan joined the Junior League of Norfolk-Virginia Beach, Inc. in 2015 and is currently serving as the Strategic Planning Director. 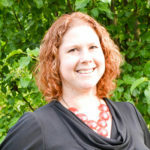 She has served on the Leadership Initiatives Committee and Research and Development Committee that brought the Brunched! fundraiser to the League. Meghan received a bachelor’s degree from Drake University in Des Moines, IA and a master’s degree in Higher Education Administration from the University of Kansas in Lawrence, KS. Currently, Meghan works at Old Dominion University. 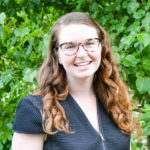 Meghan is also a volunteer with the National Association of Campus Activities where she’s served in many regional and national volunteer roles, presented at national conferences, and published several articles in Programming magazine. Additionally, Meghan’s also an active member of the Fort Nelson Chapter of DAR, and Chapter X of P.E.O. in Virginia Beach. In her free time, Meghan enjoys searching for the perfect lipstick, going to comedy shows, frequenting the pool in the summer, and spending time with her friends.